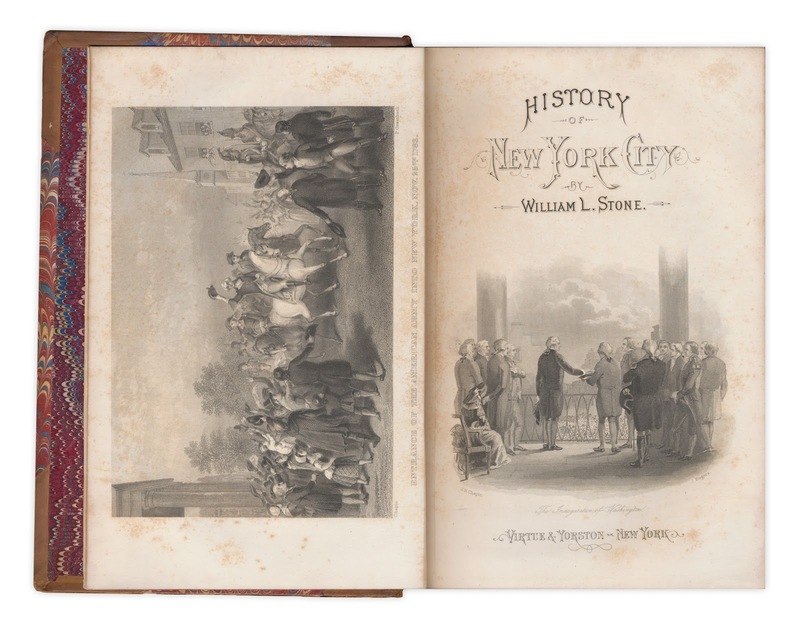 Lovely leatherbound history of New York City with 20 engravings and 85 woodcuts, many beautiful portraits of American historical figures such as Washington, Franklin, and more. Leather spine with raised banks and leather labels, gilt titles and decoration. 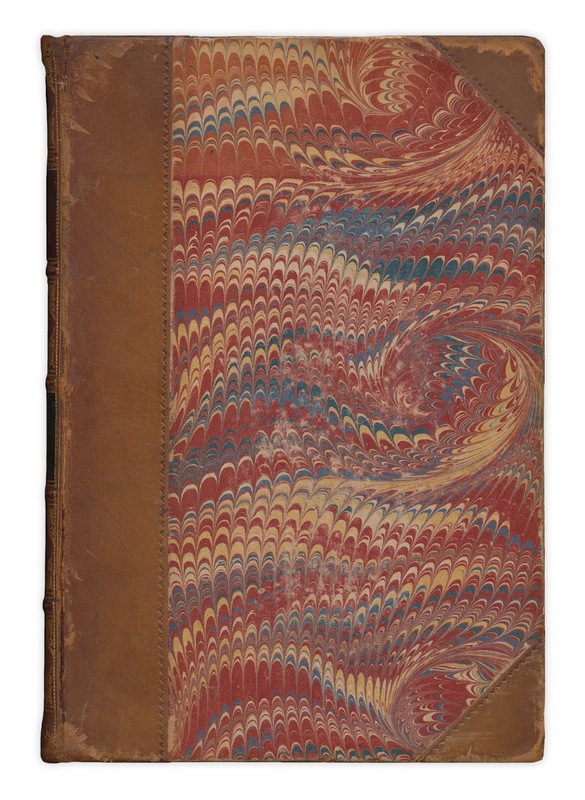 Red/blue marbled boards, endpapers and page ends. 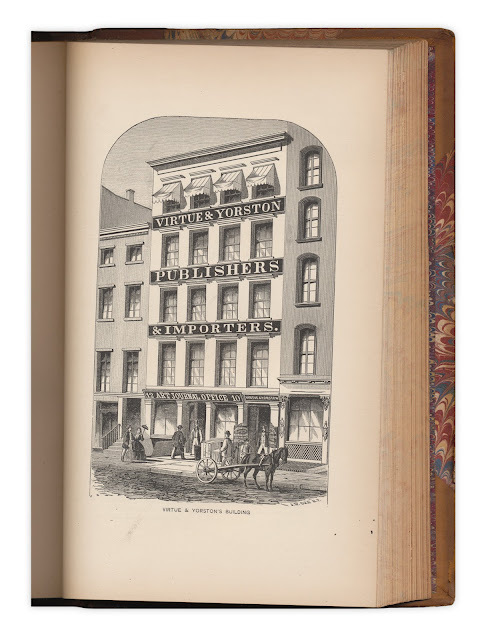 Foxing present on first few pages and frontispiece tissueguard. 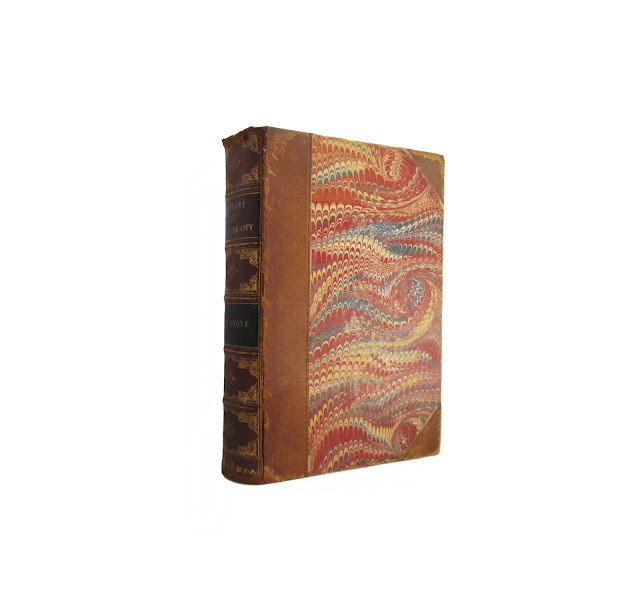 Leather shows wear along edges of covers, lower front hinge. Most pronounced at top of spine. 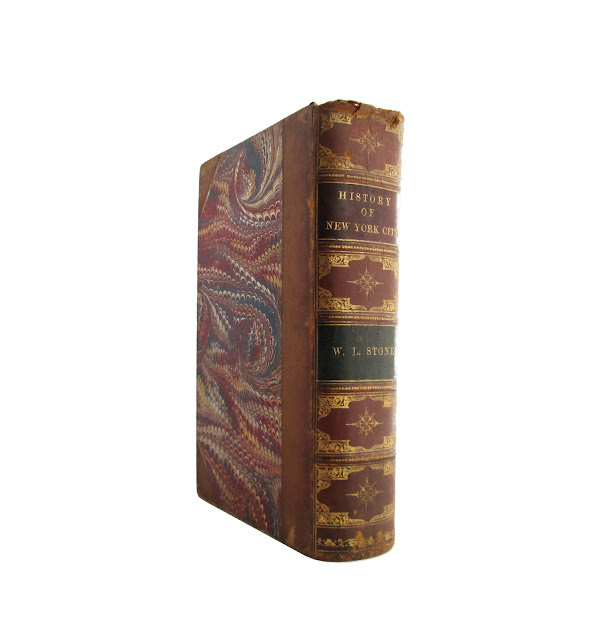 7"x 10" with 793 indexed pages.